For some time now in the recent history of American English, people have been saying “based around” instead of the traditionally normative “based on.” This phrase can be heard almost daily on the media, uttered by speakers who seem to be in their twenties and thirties. Why this change in grammar? Apparently, these speakers conceive of the passive mode of the verb base as denoting some sort of peripherality rather than the centrality/fundamentality commonly associated heretofore with this word. The latter, after all, means (according to the Merriam-Webster Dictionary Online) ‘the fundamental part of something; basic principle; essence, foundation, basis, groundwork’. The foundation of something is as central as one can get in the conceptual universe, is it not? The shift in current speech must therefore be based on (take my grammar advisedly!) a reconceptualization of the verb. In the thinking of millennials et al., apparently resting on a foundation is conceived of as something tangential rather than central, i. e., covering the periphery of anything rested on (= its base), not on its core or center. In contemporary American English, with the internet and media regnant, new turns of phrase have a tendency to spread quickly if they express a basic cultural need as served by language. As noted in earlier posts here, the word “basically” has traced just such a trajectory, to the point of becoming a verbal tic in the speech of some members of the society (occasionally noted by Y-H-B in his own utterances). This was illustrated today by one of the co-hosts of NPR’s program “Morning Edition,” Steve Inskeep, who uttered the combination “basically automated.” Now, either something is “automated” or it isn’t. 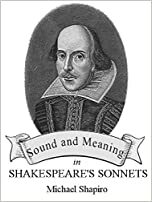 Hedging the meaning by inserting “basically” only changes the attitude of the speaker toward their own utterance, not the meaning sensu stricto. But this lion has raised its legs and can no longer be stopped. Y-H-B was recently interviewed by the Director of Programming at Vermont Public Radio for the position of part-time morning host on VPR Classical. Needless to say, he didn’t get the job. The successful candidate was a woman with an utterly colorless voice and standard diction. As is so often the case with such announcers on classical radio stations, however, this host is clearly not a speaker of any of the foreign languages such a person constantly encounters in announcing composers and titles of works, a knowledge of which is useful in pronouncing the composers names and the titles of their compositions correctly. One such example of the latter deficit occurred this morning when the woman pronounced the second word in the title of Felix Mendelssohn’s Rondo brillant for Piano & Orchestra in E flat major, Op. 29 as [ˈbril-yənt], exactly synonymous with the English word (but note the different spellings), despite the fact that this title is meant to be pronounced à la française, i. e. with a nasal vowel in the second syllable. Not knowing how to say this foreign item correctly is a sign of rank incompetence, equivalent to making a grammatical mistake in one’s own native language. But such is the usual pattern among almost all classical music hosts: they have no command of any language other than English, and there is no practical recourse to a remedy. Tant pis! In the twenty-first century, what used to be rigidly distinct in the grammar of American English––namely, the morphological distinction between verbs and nouns––has loosened so that verbs can easily serve as nouns without any change in form and vice versa. Thus the noun gift has come to be used as a verb (e. g., “X gifted me with Y”), and the verb build as a noun, as in computer lingo (e. g., “Choose how you get Insider builds,” from the Microsoft update page). To a linguistic purist like Y-H-B, this completely insouciant crossing of previously impervious categorial boundaries is stylistically anathema and not to be adjudged felicitous. Hoswever, there is evidently a semantic need that is being filled by such innovations, and younger speakers use them without any qualms. O tempora, o mores! A reporter on todays’ NPR broadcast of “Morning Edition,” in speaking about the political troubles in Spain over Catalonia, was heard pronouncing the word Catalan with two broad a’s (as in want) in the first and last syllable instead of the normative flat vowel [æ] (as in fan). The reporter (a woman) had evidently never heard this word pronounced correctly and, therefore, took it to be marked (i.e., conceptually restricted), for which the marked broad vowel occurs de rigueur in contemporary American English. Apropos, readers of this blog are reminded that among the PDFs on the upper portion of the homepage there is the link to my article, “Broad and Flat A in Marked Words,” American Speech 72.4 (1997), 436-439, which to this day provides the definitive explanation of the phenomenon at issue. As is his custom, Y-H-B was sitting in his Sunday morning restaurant in Manchester Center, Vermont, “Up for Breakfast,” talking to one of the waitresses, a middle-aged woman who grew up in Rhode Island and now lives in Bennington, Vt. We were engaging in the usual early breakfast banter when the waitress (Gwen), a very nice and well-spoken lady, used the word potpourri to refer to a miscellaneous collection of implements in the restaurant. I immediately made note of this usage as a sign of higher-than-expected intelligence and silently congratulated Gwen for using this word. While it is common for children in every country to be urged to expand their vocabulary in preparation for higher and higher schooling, in America it is not common for ordinary speakers to use high-style words like potpourri (a French borrowing) unless the context calls for their special use. In general, speech in America between people of different social classes and professions rarely goes beyond the boundaries of common vocabulary, although doctors and dentists are well-known for gratuitously engaging in special vocabulary out of habit instead of using common words to describe medical conditions. Word choice as a stylistic matter is not merely facultative: it is always a sign of intelligence and necessarily has the effect of affecting one’s general evaluation of one’s interlocutors. In contemporary American English, speakers are constantly asserting their good faith to their interlocutors by interpolating (or adding, or prefacing) the phrase “to be honest” as if to assure them that what they saying is valid or authentic, thereby elevating their bona fides as far as the authenticity of their utterances is concerned. However, almost without exception, there is no patent need for this phrase because the speaker’s sincerity or the accuracy of the information being conveyed is never in question. This is yet another instance when Americans resort to utterly otiose verbal warrants in speech in order to prevent their interlocutors from so much as suspecting that what is being said fails to represents the speaker’s true thoughts. Media chatter of all kinds, because of its ubiquity and pervasiveness, only exacerbates the situation by providing a typically inauthentic model of ordinary speech. In days of doubt, in days of dreary musings on my country’s fate, thou alone art my stay and support, mighty, true, free Russian speech! But for thee, how not fall into despair, seeing all that is done at home? But who can think that such a tongue is not the gift of a great people! One’s thoughts do not necessarily have to be original to embody emotional force, especially in sad moments. Vox Populi, Vox Dei.